Hi everyone! 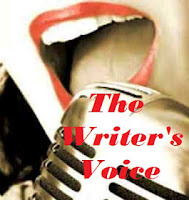 Here is my entry (#196) for "The Writer's Voice", a contest hosted by Cupid's Literary Connection, Love YA, Brenda Drake Writes, and Mother. Write. (Repeat). For more info on the contest, click here. Seventeen-year-old Aeneas doesn’t belong to a Colony. As the bloody scars on his back remind him, he was one more than needed. One more than necessary. Then another bloody message, written by his dying mentor, twists and turns the world he thought he knew. His first instinct: run away, away from the high-walled city of Ilium that no longer feels like home. It takes the chance rescue of Casseopea, an orphaned girl from the Colonies, to make the running stop. Cast out into the dangerous depths of Ilium by her power-hungry Chieftain, Memnon, she draws Aeneas into her quest to find a mystical key. But the key unlocks a startling truth: her Colony is his own, and his real family is in grave danger. Armed with a new understanding, a new set of allies, and a new purpose, Aeneas must return to the Colony that he has never known, stand up to its Chieftain, and change the fate of Ilium forever. ONE FIFTY ONE is a YA Dystopian novel complete at 96,000 words, and is the first of a series.